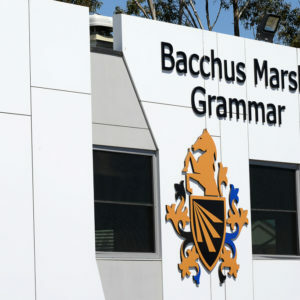 Bacchus Marsh Grammar provides VCE students with an extensive range of academic and co-curricular programs that aim to develop their interests and passions. 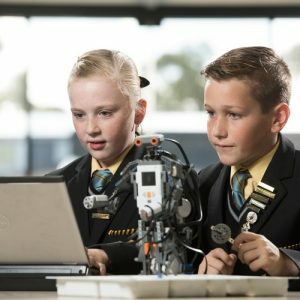 Our rigorous and challenging programs and supportive culture encourage students to become resilient, independent learners who consistently achieve outstanding results. Our focus on academic excellence and personal development prepares our students for a successful and fulfilling life. 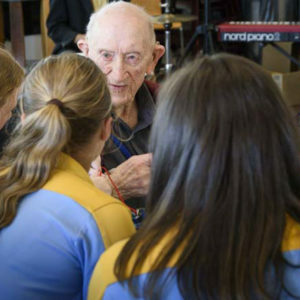 For many of our students VCE starts in Year 10 and as early as Year 9 for others. This acceleration provides valuable additional credit that contributes to a student’s ATAR score, enables them to experience the expectations of a VCE student as well as widen the breadth of their VCE course. High achieving Year 12 students can undertake a first-year university subject. 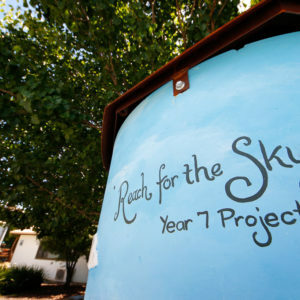 This contributes to their final ATAR score, and is credited to an undergraduate course. The School places a heavy emphasis on career development vocational guidance. Students receive extensive support when making their career decisions. Our VCE teachers have an enormous breadth and depth of specialist experience and expertise. Many are active members of their relevant subject associations as well as being VCE State Reviewers, authors of VCE texts and VCE Assessors. Student talents, efforts and achievements are rewarded in an environment which fosters mutual respect, personal integrity and a strong sense of self-worth.